Stereo Sound & Bass Effect►►Provide Hi-Fi sound and powerful bass effect, this Earphones give you an excellent music experience, and you can make real hands-free calls with a built-in microphone. Tilted Silicone Earplugs & Ergonomic Design►►Tilted silicone earplugs are designed to keep earplugs more stable with your ears. 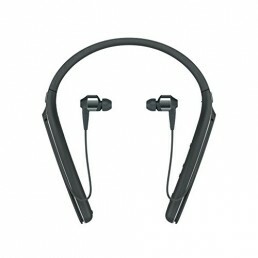 These ergonomic design Earbuds include three sizes of ear caps, testing thousands of people, suitable for all types of ears, which make you feel more freely when doing exercise. 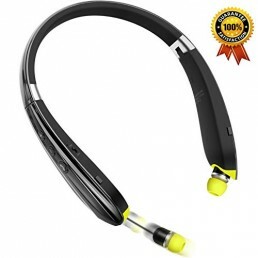 Stylish Magnet Design & Sweat proof►►Magnetic Headset surround your neck or wrist like a stylish decorations when you don’t use it. 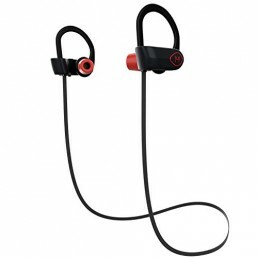 Sweat proof Headphones make you have a wonderful music experience even you sweat a lot when doing exercise.